The AK LNG project got a slight boost from federal regulators this week. The Federal Energy Regulatory Commission, or FERC, will release its draft environmental impact statement a month ahead of schedule, in February next year. The draft EIS is a significant milestone toward permitting the roughly $45 billion dollar project that, if approved, will demand a lot of investment in the Nikiski area. A big part of that will be the federal payment in lieu of taxes or PILT money. Borough mayor Charlie Pierce says his chief of staff, John Quick and Nikiski fire chief James Baisden are in Washington D.C. now, having conversations about how that payment might be made. The Nikiski Fire Service Area would likely get a bump in funding, and potentially Central Emergency Services, too. The Borough is beginning to dig into all of that by getting together its priorities for whatever PILT money does eventually become available. “We’re going to bring someone on on a temporary basis to help gather those priorities, establish those priorities on a needs basis and then we’ll have a better answer as it relates to how the PILT money would help out with some of those concerns. It’s early...We are trying to be in front of the curve instead of behind the curve," Pierce said. The borough has also had a working group going this year to identify some of those priorities. The AK LNG Project Advisory Committee meets next on September 25th at the Nikiski Rec Center. Nikiski is identified as the best terminus for the Alaska Liquefied Natural Gas Pipeline Project submitted by the Alaska Gasline Development Corporation to the Federal Energy Regulatory Commission, and the Kenai Peninsula Borough wants to keep it that way. At its meeting Tuesday, the borough assembly gave the administration the green light to apply for intervener status with the Federal Regulatory Commission as it considers AGDC’s AK LNG project. Having the status to intervene means the borough can weigh in on the project proposal with FERC. The deadline to apply to intervene is long past — May 1, 2017 — but the borough didn’t think that step was necessary at the time. Now, though, other municipalities in the state are telling FERC the terminus should be somewhere other than Nikiski. John Quick, borough Mayor Charlie Pierce’s chief of staff, says the borough wants to be able to counter those claims. 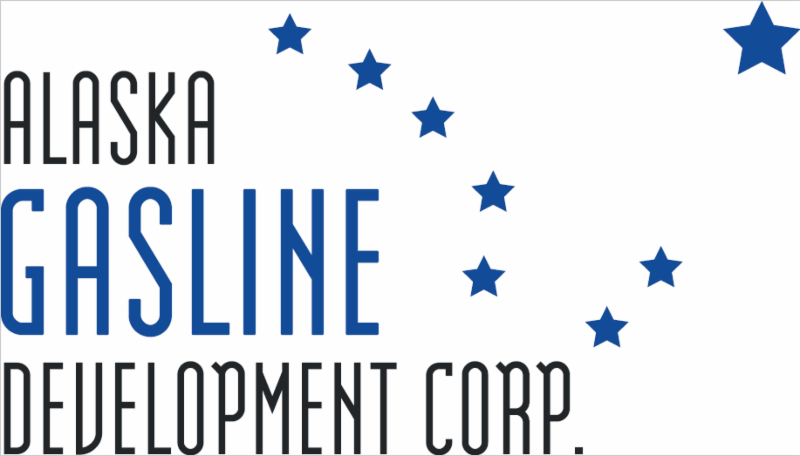 This week, we’re talking about the AK LNG Project with the president of the Alaska Gasline Development Corporation, Keith Meyer and AGDC’s senior vice president of program management, Frank Richards. 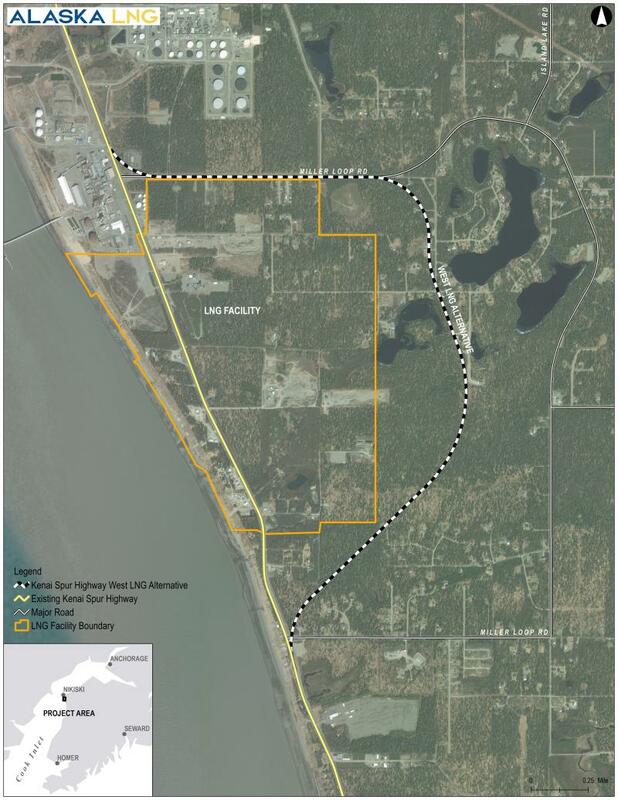 After years of waiting, Nikiski residents finally found out what path the Kenai Spur highway will take around the proposed AK LNG plant Wednesday night.